Dude, I guess I have to go to Detroit now.. I've always wanted to swim in a pool with a monkey wearing something pink! #147: tear the swimsuit off of a female. 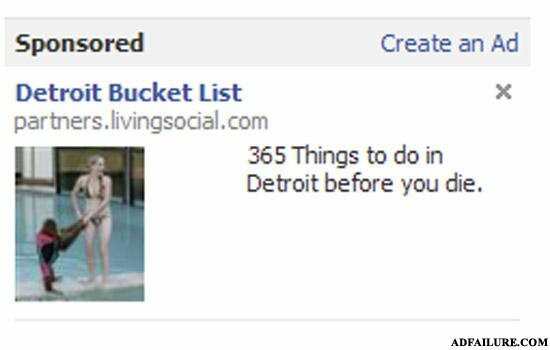 It's obvious, you will never be able to do whatever 365 wonderful things they have planned because you're in Detroit, where the average life span is about 28. I don't get it - what's the fail here? bucket list = list of things to do before you hit the bucket... never seen that movie with jack nicholson and morgan freeman? What did the black kid get for christmas? Female: Hey do you wanna come back to my place? Male: I'm actually a broom in disguise.